Watch Pretty Little Liars Season 7 Episode 18 online via TV Fanatic with over 7 options to watch the Pretty Little Liars S7E18 full episode. Affiliates with free and paid streaming include Amazon, iTunes, Vudu, Netflix, YouTube Purchase, Google Play, and Verizon On Demand. Aria, we literally caught you black hoodie. 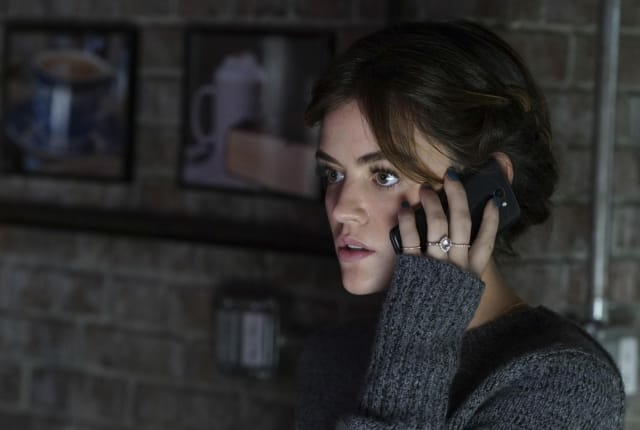 Permalink: Aria, we literally caught you black hoodie. Hanna: Are you two, like, a thing now? Pretty Little Liars Round Table: Did Spencer's Twin Sleep With Toby?! ?